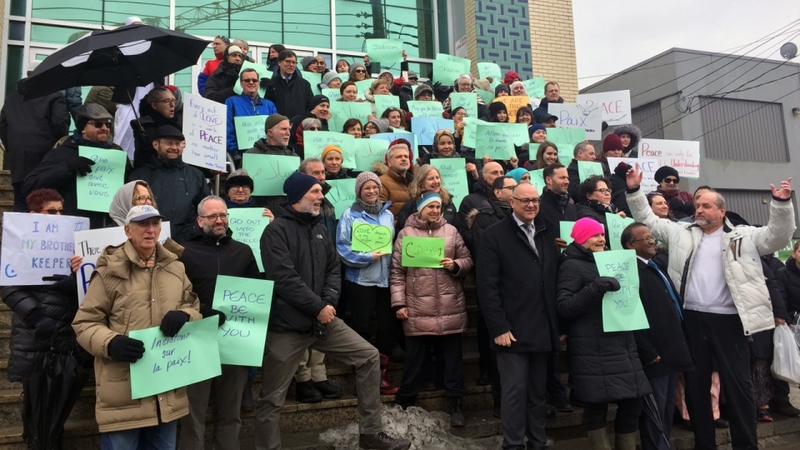 Religious leaders in Montreal gathered Friday to call for an end to violence against people exercising one of their fundamental rights: freedom of religion. One week after deadly shootings in two mosques in New Zealand, and hours after a priest was attacked at Saint Joseph's Oratory, they gathered at Quebec's oldest mosque to call for an end to violence and acts of hate in places of worship. Leaders and worshippers of many religions met at the Islamic Cultural Centre to form what they called a circle of peace outside the mosque during its afternoon prayers. 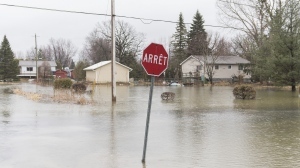 The idea is to show solidarity with Quebec's Muslim community, and with the Muslim community in Christchurch, New Zealand. They said nobody should ever be afraid to enter a place of worship and to practice their religion. “These kind of events and the intentions of the terrorists are to divide us. But we have to stay positive and stay faithful and when you have support like this from the faith communities and other communities, we should not be fearful because we are not alone,” said Imam Musabbir Alam of the Canadian Muslim Alliance.